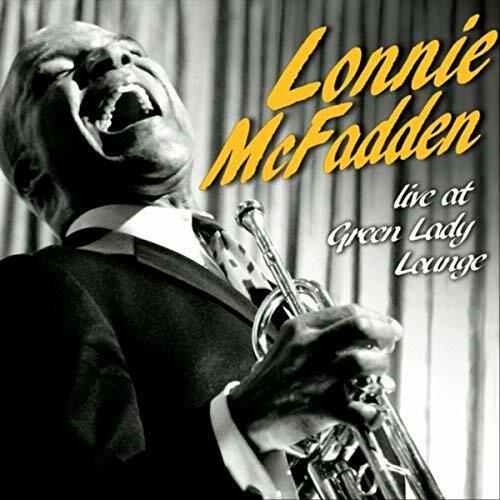 “This whole night is my whole career,” says Kansas City-based vocalist and trumpeter Lonnie McFadden as an introduction to his Live at Green Lady Lounge. It’s a true statement, as McFadden prefaces most tracks with stories about how they came to be, including some of his earliest compositions. 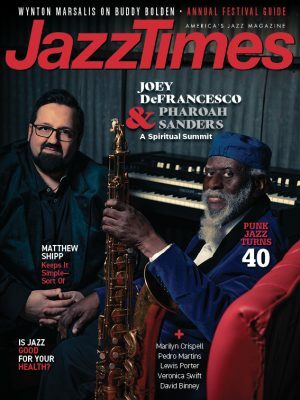 The results, with pianist Andrew Ouellette, bassist DeAndre Manning, and drummer Tyree Johnson, unfortunately prove a hit-and-miss hodgepodge that likely functioned better in concert than on this comparatively incohesive live document. Things get off to a promising instrumental start with a cover of Bennie Moten’s “Moten Swing,” a bluesy, strutting piece with fine solos by McFadden, Ouellette, and Manning; McFadden and Johnson’s hip-hop-infused “In the Club” (with Manning making a rare turn to electric bass); and Ouellette’s complex “Voyager,” featuring some of McFadden’s best work amid the rhythmic and harmonic web spun by his bandmates. The encore is “Tap ’N the Blues,” on which McFadden decides to add his tap-dancing expertise—which, however impressive, gets lost in translation without video evidence. His hometown crowd eats it up, though, perhaps proving that Live at Green Lady Lounge is more a recorded reward for the Kansas City faithful than an attempt to convert those outside the Midwest. If he sticks with this band, and more to instrumental material, on his next CD, McFadden could branch out further. Preview, buy or download Live at Green Lady Lounge on Amazon!